Poster by Meghan Stratham for a screening of 'Queen of the Sun' - Ross Theater, Lincoln, Nebraska. In bleakly immense numbers, billions of bees, birds and bats continue to perish. These massive, mysterious pollinator exterminations are steadily stinging our food supply and the whole of the natural world. One out of every three bites of food that we consume is directly linked to pollinators. Thus, as the bees go, so go we. While the precise cause of bee colony collapse is still argued, clues continue to emerge. Suspects still include mites, viruses, funguses, chemicals, genetically modified plants and associated pathogens, as well as EMF radiation from wireless technology. According to a widely noted paper in the journal PLoS One, an active part of the problem is a tag-team consisting of a virus and a fungus. Exactly how these micro-entities kill bees remains uncertain. 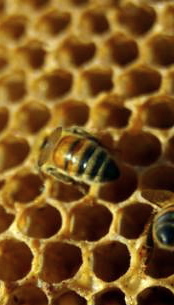 However, researchers did confirm that both the virus and the fungus have their impact in the bee gut. Somehow, the bees’ guts are being rendered vulnerable; then the virus and fungus have their fatal impact. As for beekeepers, they are increasingly convinced that an underlying cause of this gut-weakening, global death plague is a family of insecticides called neonicotinoids. They are chemicals which mimic the form and function of nicotine, the naturally occurring alkaloid in tobacco. In synthetic, chemical form the neonicotinoids are sprayed on seeds or crops to keep them clear of marauding insects. Note well the tobacco aspect of this story. It may prove key to a multitude of mysteries. For thousands of years tobacco has been recognized in native North America as chief of the plant world. It is the first and most important plant. As chief of the plant realm, tobacco can be employed for great good, or for great harm. This has been understood for generations. In this context, the widespread, commercial use of manufactured, synthetic, chemical tobacco — a substance reduced to a base material form — appears as a matter of resounding agricultural and spiritual significance. Mystery lives in the hive. Bees emerging from the hexagonal form of their homes, guided by the position of the Sun, are drawn into engagement with life via the colors and fragrances of flowers. From the exquisite forms of the flowers they draw the dew-moistened essences of nectar and pollen. This they refine within their bodies into the warming, golden, hive-filling elixir that is honey, a sublime food. Queen of the Sun, a new film opening May 13 in Lincoln — and on other dates around North America this spring — explores the bee, hive, honey, and pollination mysteries with art and intelligence. The film is being widely praised for its nature cinematography, and for serving up insights both scientific and esoteric. Queen of the Sun explores how our natural, rhythmic relationship with bees has been fundamentally altered by mechanized, chemicalized, and edgily efficient industrial practices. The film explores also the possibilities and pathways of human beings responding intelligently and helpfully to the death murmurings of the bees by restoring our lands to full, natural, organic health and vitality, while also reorienting bee-keeping practices. The bee mysteries explored in the film, in combination with the suspected role of neonicotinoids in the collapse of the bees, put me strongly in mind of traditional Native teachings about tobacco. 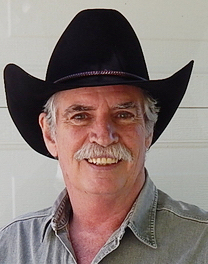 Having traveled and studied with Native elders for nearly 40 years, I am aware of some of the core cultural and spiritual understandings about tobacco, and I regard them as significant. Because tobacco is understood to play such a key role in the natural world and in human life, and because the derangement and collapse of the bee colonies is so important to our survival, the subject merits both physical and metaphysical study. As held in the millennia-old teachings of Turtle Island (North America), tobacco is appreciated as the first plant that Creator gave to the human beings. Tobacco, part of the nightshade family of plants, has a special role, and is chief among the plants — the most significant medicine. Three other plants, sage, cedar and sweetgrass, follow tobacco. Together, since antiquity, they have been spoken of as the four sacred medicines. 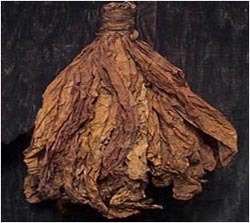 As the ancient teachings maintain, tobacco was given to human beings so people could communicate with the spirit world. Said to be powerful beyond contemporary reckoning, tobacco opens the portal allowing that communication to take place in a safe, conscious, and wholesome manner. Traditional people say “always through tobacco.” Tobacco is always first, used as an offering for most everything and in every ceremony. Tobacco has been used for many generations as offerings of gratitude, for planting, for harvesting, for healings and for acknowledgments. Tobacco pathways streaming prayerful thoughts have characteristic qualities of respect, protection and healing. Tobacco is Big Medicine, Chief Medicine, the main activator of all the plant relatives. In the past, the naturally occurring alkaloid of nicotine from the tobacco plant was used as an insecticide. In our era a synthetic form of nicotine — the neonicotinoid family of chemical insecticides — has come into wide use. Those commercially sold nicotine analogs bear names such as clothianidin, imidacloprid, nitenpyram, and thiamethoxam. Using tobacco with wisdom brings protection and communication; using tobacco without wisdom is exceedingly dangerous. Most people are aware of how habitually smoking and inhaling the plant leads to acute health problems, often to cancerous death. Correspondingly, using a reductionist synthetic form of tobacco as an agricultural or backyard insecticide can lead — and many beekeepers believe is leading — to sickness and death for our essential bee relatives. Queen of the Sun notes that the pollinator catastrophe of today was foreseen as early as 1923. That’s when, in a series of lectures entitled “The Bees,” Rudolf Steiner stated that within 80 to 100 years we would see the consequences of our tendency to mechanize the hive forces that had previously operated organically. Born in Austria (1861–1925), Steiner made his mark as a literary and philosophical scholar credited with dozens of important observations and initiatives. 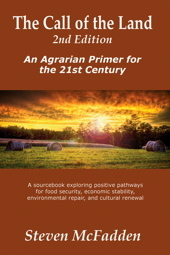 He gave the starting impulse for the biodynamic approach to agriculture. He indicated that as a consequence of meddling with hives, manipulating the queen bees (Queens of the Sun), and a generally mechanistic approach to the otherwise healthy, natural rhythms of the colonies, we would create conditions causing the mass disappearance of the bees. So it has come to pass. One of Steiner’s related ideas was that an essential spiritual requirement of the modern age is to be aware of the increasingly powerful influence of regressive, materialistic impulses which tend to numb or deaden the living spirit. He cautioned that if mechanical strategies of efficiency were imposed upon the hives, they would wither and fail. With the widespread use of chemicals, and mechanistic processes such as interrupting brood production, artificial insemination of queens, and clipping queens’ wings, the complex masterpiece of the hive has been tamed into its modern condition. In metaphysics, the doctrine of analogy and correspondence is the classic approach for exploring the relationship between natural and spiritual realms. The doctrine posits that as the whole of existence is one, all parts are in relationship with all other parts, and different levels (realms or worlds) have correspondences. The parts of the whole are in relationship with one another, and we can learn something about a given realm by examining the corresponding part in another realm. In this context, consider the synthetic forms of nicotine-tobacco, the neonicotinoids. They are created in a manufacturing plant as a chemical that mimics some of the properties of natural, sacred tobacco, and then used to protect plants by killing insects. Neonicotinoids act as neurotoxins. Bees exposed to them — especially in the context of the modern day ‘chemical soup’ in the environment — exhibit symptoms similar to humans afflicted with neurological diseases such as Parkinson’s and Alzheimer’s. They become deranged: normal mind and body functions are disturbed. Derangement leads to progressive paralysis which leads to death. As derangement and colony collapse surge in the realm of the bees, we can meanwhile observe a corresponding surge — of staggering proportions — in the realm of human beings afflicted with Alzheimer’s and Parkinson’s. As with the bees being negatively impacted by chemicals, a mounting list of studies shows the connection between other chemicals and the soaring rates of both Alzheimer’s and Parkinson’s. These observations stand as no absolute, physical scientific proof of a connection. But as apparent correspondences, they absolutely merit metaphysical consideration. Despite numerous red flags, the droning rattle of bee death may grow louder yet this year as farm fields are planted in North America. Despite UN warnings, despite outright bans in Europe, and despite beekeeper protests in the USA, the EPA is again allowing the use of neonicotinoids in 2011. 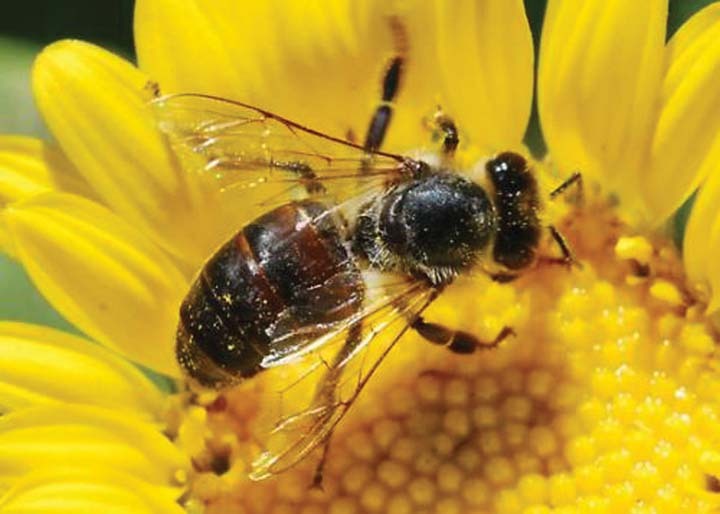 The leaked EPA memo recommended that a new field study be undertaken along with at least one other study to ensure that the clothianidin, now widely used on crops in the country’s agricultural centers, is not harmful to pollinators. The memo also made it apparent that the EPA had allowed the neonicotinoid to stay on the market while the crucial study on the subject had been deemed inadequate. Of note, that study had been submitted to the EPA by Bayer, the multinational corporation that is both the maker and the marketer of the insecticide. In December, right after the leak of the EPA memo, a coalition of beekeeping groups sent a letter urging the agency to issue a stop use order immediately. “Our nation cannot afford, and the environment cannot tolerate, another growing season of clothianidin use,” the letter read. The letter to the EPA was signed by a host of heavy hitters from the realm of the bees: the National Honey Bee Advisory Board, American Honey Producers Association, American Beekeeping Federation, Pesticide Action Network of North America, Center for Biological Diversity, and Beyond Pesticides. The die is cast for 2011 in North America. Throughout the growing season across the land, the synthetic tobacco that has aroused so much concern – even among EPA scientists — will be in full and widespread use. As suggested poetically by Rilke and as taught by Steiner, a first step in addressing the realm of nature is to deepen our understanding of the whole, and the web of corresponding relationships that constitute the whole. We have much to gain from penetrating the mysteries via science and intuition, and much to contribute in response if we authentically engage the call of the bees as one key chorus in the overall call of the land. In this matter as in so many others that characterize our era, it appears that individuals of good conscience must make their own determinations, set their will, and take their own positive actions. Toward that end, here are some suggestions for steps one might take on the path toward penetrating the mysteries and establishing conditions which allow the bees and other pollinators to prosper in good health, that we human beings may in turn prosper in good health. 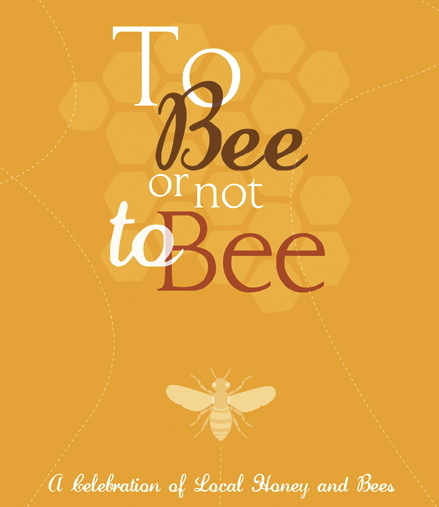 Educate yourself about bees and the food chain. Read a book or see the film Queen of the Sun. Provide habitat by planting bee-friendly flowers in your yard such as Black-Eyed Susan, Buttercups, Clematis, and Dhalias. Gardens with 10 or more bee-friendly plants support the most apian visitors. Respect plants typically identified as ‘weeds.’ Plants such as dandelions and clover are popular with bees. Consider letting some of these weeds come to flower, then pull them up after they’ve gone to seed. Reduce or eliminate lawn chemicals. Many lawn and garden chemicals are lethal to bees, while others may weaken their immune systems. Consider switching to integrated pest management for lawns, or using natural, organic fertilizers and biological controls. Join the community of beekeepers in urging the EPA to fulfill it’s core responsibilities to protect us against toxins, derangement, and death and thereby to safeguard the nation. Sign the petition for a National Honey Bee Day. You can print out copies of the petition if you want to seek further signatures at local garden clubs, coops, farmers markets, CSAs, and so forth. Support local organic farms. They are oases of environmental health and thus sanctuaries for bees. Support local beekeepers by buying their honey. 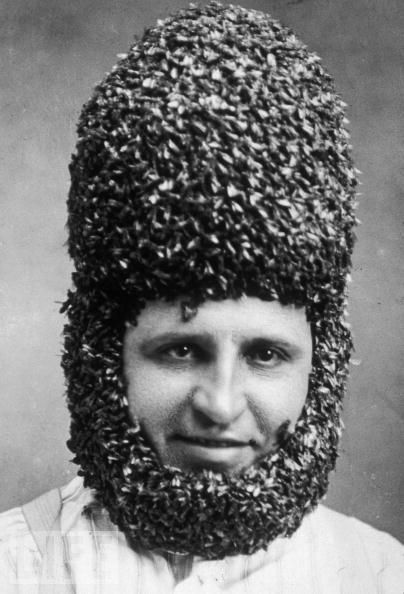 Consider becoming a beekeeper yourself. As a simple search will reveal, the Net is loaded with resources for learning. Offer a pinch of dried tobacco leaf to the land if it meshes with your spiritual practice. Offer, then relax and listen. Tobacco is said to help to open a path of communication, but it is not a one-way path for broadcasting thoughts and desires. We have with this practice a chance to listen to the call of the land and the creatures such as the bees, and thereby to be informed on a necessary level of relationship. Check out the resources on the links page for The Call of the Land. Some of the models listed there may help you find a way to add some positive energy in response to the diminishing buzz of the bees and other pollinators. These may all appear to be small, insignificant steps. They are not. 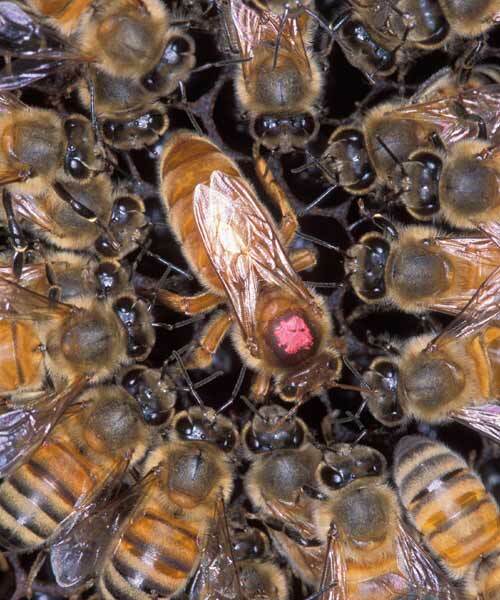 Consider how small is the packet of pollen and nectar that an individual bee carries to the hive. In combination with the efforts of all the other bees, quarts of golden honey flow forth. Likewise, the individual and shared efforts of people to heal our relationship with the land and the hives brings a cumulative, healing power more fully into the world. In the the days following the story published on this blog — Latter-day Luther Nails Troubling Thesis to GM Farm & Food Citadels) — the national press has demonstrated re-vitalized interest in the controversy surrounding Dr. Don M. Huber and his hypotheses on Genetically Modified (GM) crops and the herbicide glyphosate used in conjunction with those crops. AP sent out a story primarily focused on critics of Don M. Huber, Ph.D. and his hypotheses about how genetically modified crops and glyphosate may be causing a critically problematic pathogen to spread through the food chain, resulting in heath problems for plants, animals, and people. Los Angeles Times reporter P.J. Huffstutter offered a balanced, comprehensive, insightful report today on this controversy in an article headlined: Plant Disease Raises Questions on Modified Crops. The Times reported: “Though the science behind Huber’s claims is far from settled — and Huber has refused to make public any evidence of his claims — his letter has intensified the battle between those who believe technology is the only way to feed a ballooning global population and those who are increasingly fearful that biotechnology is resulting in food that is nutritionally lacking and environmentally dangerous. The Idaho Statesman also weighed in on the subject today. Huber told the paper that the soil and pathogen data his critics are seeking is being prepared for publication. 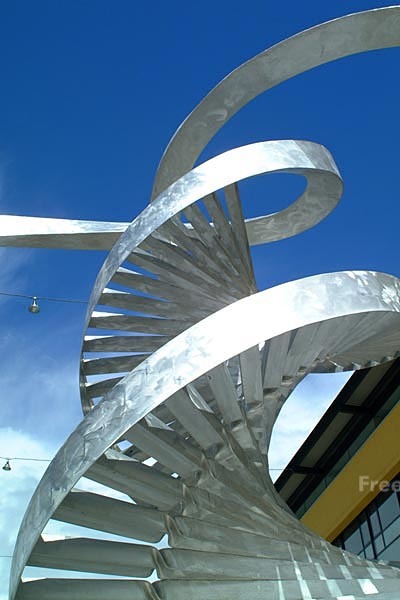 It will be presented for wide-open scientific scrutiny “within a very few months,” the paper quoted Huber as saying. Meanwhile, the Center for Food Safety (CFS) and Earthjustice filed a lawsuit against the U.S. Department of Agriculture (USDA), arguing that the agency’s recent unrestricted approval of genetically engineered (GE), “Roundup Ready” Alfalfa was unlawful. The GE crop is engineered to be immune to the herbicide glyphosate, which Monsanto markets as Roundup. The plaintiffs include a diverse coalition of conventional and organic farmers, dairies and agricultural associations, and environmental and consumer groups. A new paper published in Environmental Sciences Europe reviews 19 studies of mammals fed GM soybean and corn as well as raw data from another one on rats. The paper comes to a red-flag conclusion: GM crops disrupt animals’ livers & kidneys. More independent study is needed, the paper argues. You are currently browsing the Deep Agroecology blog archives for April, 2011.